It’s quite a trek from Downtown Kyoto to Kamigamo-jinja Shrine, but it’s worth the effort for fans of Shinto shrines. Of course, if you’ve got a bicycle, this scenic little shrine makes a great turnaround point for a long journey up the banks of the Kamo-gamo River. If you’re lucky, they’ll be a traditional wedding happening when you’re at the shrine. 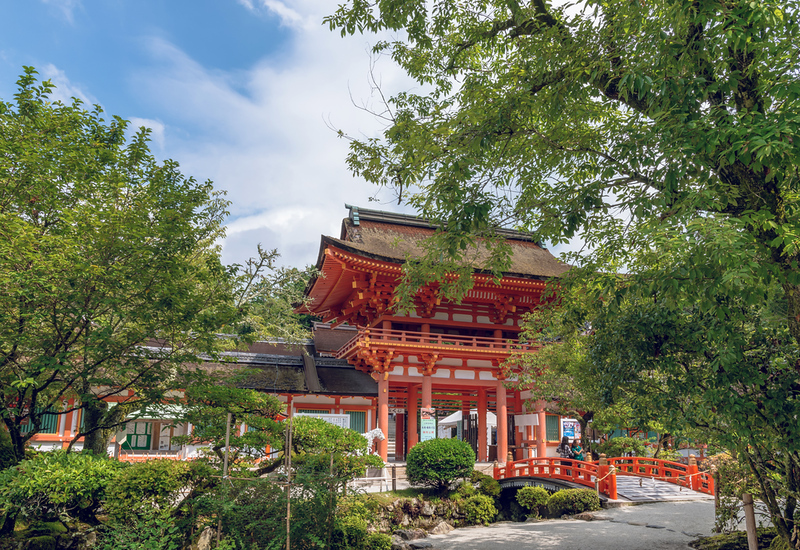 If you’re in town on the fourth Sunday of the month, be sure to check out the Kamigamo-jinja shrine handicraft market held here. Kamigamo-jinja is located in Central Kyoto. See our complete list of things to do in Central Kyoto, including places to eat, nightlife and places to stay.